3 component grip, hard mixture inner for good handlebar feel, lengths are 135mm left and 92mm right side, 2 soft gel mixtures on the outer for comfort and shock absorbtion, ergonomical shape, easy (dis) assembly, and perfect grip at the handlebar through the screw fixation system. Do You Sell These With Both Sides Short? There are a few ergonomic grip sets that are designed for Gripshift so will come in at under 110mm in length, a set around the same price as these are the Humpert AKS-07/4 which are SJSC part number 35812. 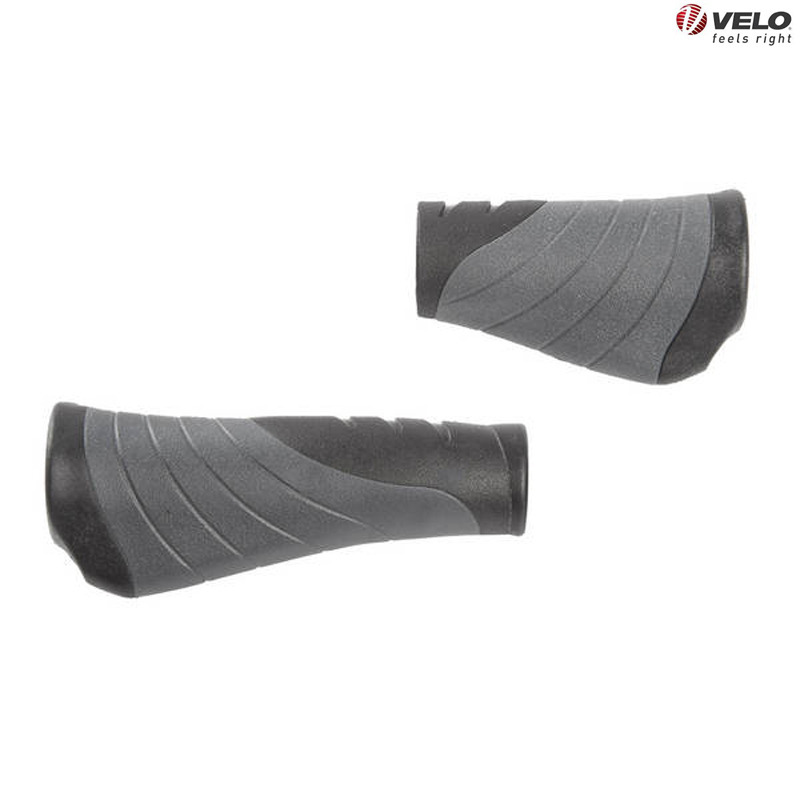 The other alternative is to buy a set of full length grips and cut them down yourself to 110mm. What Diameter Handle Bar Tube Do These Fit? These are designed to fit to standard bars with a diameter of 22.2mm at the ends.